Home Visits are more time consuming and as the Doctors time is already limited, fewer patients can be seen. 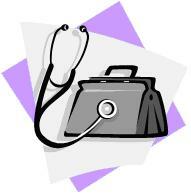 It is very important that you attend the surgery whenever possible. If you think you may need a home visit please contact the surgery before 10:00am so that if the doctor feels that a home visit is appropriate, visiting can be planned effectively.